Solar thermal company BrightSource has seen two of its contracts — to sell power from its desert solar farms to utilities — cancelled since the beginning of 2013. The situation highlights the hurdles that such large solar thermal power plants face, while rooftop solar panels continue to drop in price and are increasingly being installed. Solar thermal technology uses mirrors to concentrated the sun’s rays to a liquid-filled collector point, which heats up and produces steam and powers a steam tubine, delivering electricity. Solar panels, on the other hand, convert sunlight directly into electricity. BrightSource has been focused on adding energy storage technology to its projects, which would make its power plants more robust and be able to provide energy when the sun isn’t shining. BrightSource says its Hidden Hills site is a good candidate for a solar farm with the storage technology, but that such a change would require an amendment to the permit application and a reopening of the record to go over the new layout and plan. Suspending the current application saves time and expense, BrightSource spokesperson Keely Wachs tells me. 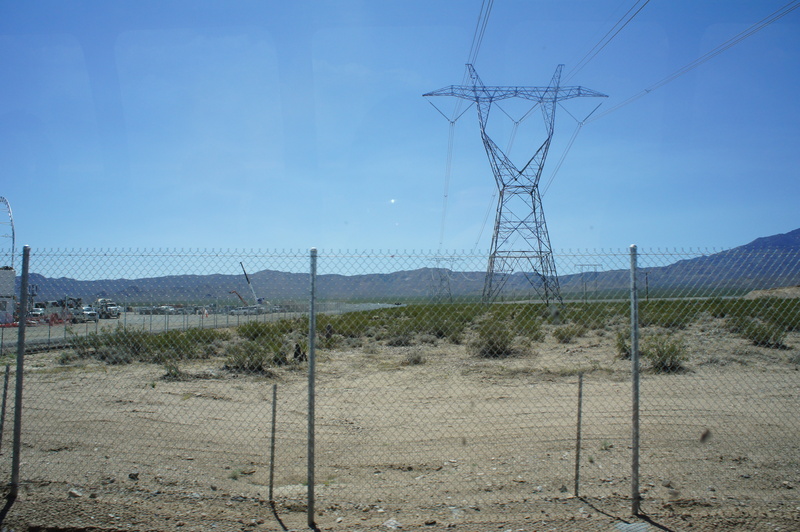 Back in January utility Southern California Edison and BrightSource also agreed to terminate a contract for a 200 MW solar plant for its Rio Mesa 2 project near Blythe, California. The California Public Utilities Commission had denied an adjacent contract next to Rio Mesa 2 due to cost concerns last year, and BrightSource suspended permitting for both Rio Mesa 1 and 2 earlier this year. 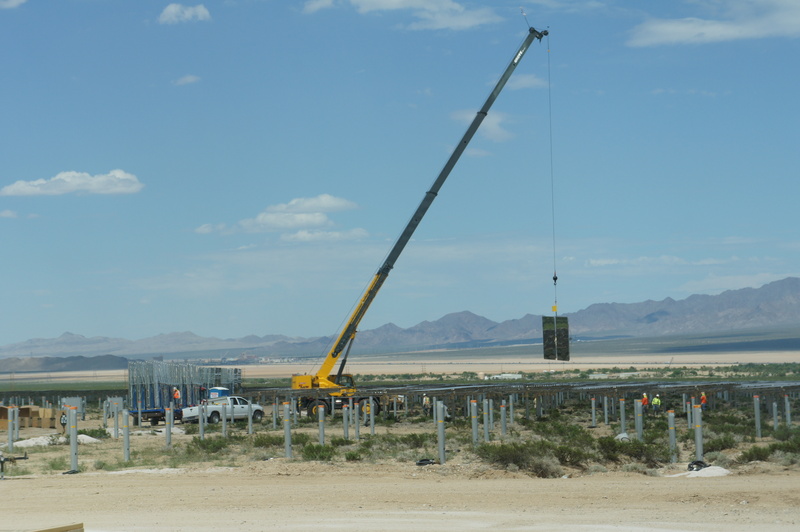 BrightSource is completing its flagship solar thermal project called Ivanpah in the desert near Las Vegas this year. Wachs says that BrightSource is also currently focused on its Palen solar project in Riverside County, which has already been permitted by the California Energy Commission. But still, the hurdles for BrightSource’s solar power plant contracts illustrate some of the inherent difficulties with trying to build massive solar plants, filled with mirrors and trackers and towers. Such large solar farms need transmission lines to shuttle the power to the cities that will use it, but transmission lines can be controversial, expensive and take a very long time to deploy. Environmental reports can also take many months and a lot of money. Protests from environmentalists have derailed, and added significant costs, to solar thermal projects. While solar thermal projects face such hurdles, solar panels continue to drop in price and are being deployed at a rapid pace. As GigaOM Pro research analyst explained this week: “3313 megawatts came online in the U.S. in 2012, a 76 percent increase over 2011 with GTM Research predicting that we’ll see continued growth up to 4300 megawatts this year.” And in particular utility-scale solar panel projects grew 134 percent last year and accounted for more than half of installed solar. I would agree that without storage this technology is lacking but it is the potential for storage that makes this technology so interesting. Typical capacity factors for solar PV are in the neighborhood of 20 to 30%. With storage the CF here could equal that of coal or around 80% It might then take 1000 MW PV plant to equal a 250 MW plant of thermal solar. Solar PV can make electricity. This technology could be efficient for many sorts of industries that need heat and are not dependent upon location. Without storage, this technology is simply uninteresting. Solar PV is getting cheaper much faster and doesn’t have the monolithic problem this tech has (it’s inherently distributed down to the inverter level, unlike a tower-based system). Thermal solar needs to come back >withcan< work, but only at much greater cost. And why that's appealing is really unclear. Heh. Greenies reaping what they sow.